Data Entry Services: We offer specialized data entry services. Get more information on our data entry services and sub-services. Data Conversion Services: We offer specialized data entry services. Get more information on our data conversion services and sub-services. 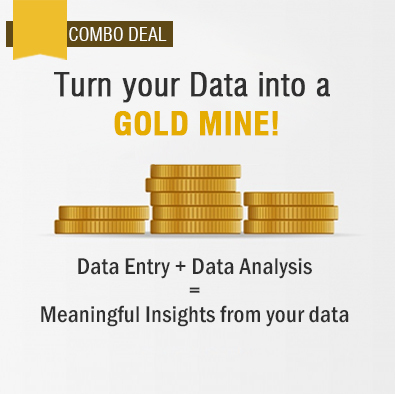 Data Analytics: We offer specialized data entry services. Get more information on our data analytics services and sub-services. ePUB: We offer specialized data entry services. Get more information on our ePUB services and sub-services. Data Processing Services: We offer specialized data entry services. Get more information on our data processing services and sub-services. Online Catalog: We offer specialized data entry services. Get more information on our online catalog services and sub-services. OCR & Scanning: We offer specialized data entry services. Get more information on our OCR & scanning services and sub-services. Industries: We offer specialized data entry services for various Industries. Get more information on the Industries we cater to. Data Entry Articles: Our data entry resources are comprehensive, informative, and well-researched. Check out our data entry articles and resources. 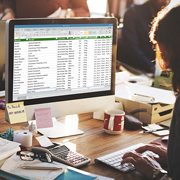 How Can Efficient Form Creation Help You in Data Entry? Why e-Pubs Will Always be in Vogue? LTL or FTL - Which is the Best Freight Shipping Option? Why Outsource Transportation Management Functions to 3PL Providers? The client is a luggage storage company based in Paris, France. The company offers luggage storage services to travellers globally. Their service points include hundreds of pick up & drop locations, including trusted local shops & hotels with extra space. Customers can book their luggage online & store their bags instantly. Every bag booked is insured & all service points are vetted by them for secure storage & friendly staff. Free security seals are also provided at drop off points. The client aims to provide 24/7 luggage service points outside every major station in Europe by the end of 2018. The client had 28 luggage service points (hotels) around Paris, France, and required assistance with their online luggage bookings. The client discovered O2I's services through our web portal and approached O2I for its data management services. Turnaround Time - The client specified an overnight requirement. One full-time resource was required on an overnight shift to respond to queries in the Paris time zone and handle the additional overnight travel volume. The request reached the client's warehouse via the clients CRM portal. Based on the initial success of the project, the client decided to outsource their complete ongoing work to O2I, and signed a long-term contract with us. O2I assigned two full-time resources to complete 60 -100 requests per day from 120 hotels across Europe. The client obtained a high cost savings (70 percent) and acknowledged our fast delivery and hassle-free outsourcing process. The client also commended our excellent account management skills. Outsource2india is a pioneer in providing top-quality online data entry services and a series of other data management services. We have numerous outsourcing services including Creative Services, Finance and Accounting, Engineering services, and more. When you outsource to us, you gain access to a seamless outsourcing workflow process, skilled resources, and ISO quality services. If you have a similar project requirement, then feel free to contact us, tell us your requirement, and receive a FREE quote within one business day. We customize pricing for your outsourcing projects. Our data entry services have created global success stories.